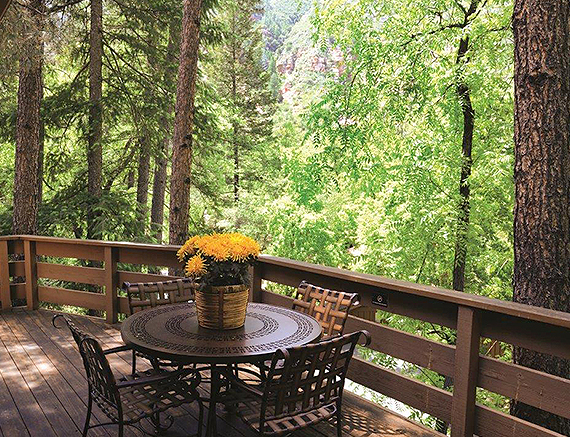 Tucked away in a pristine forest setting, our upscale creekhomes offer a tranquil hideaway in the breathtaking Oak Creek Canyon. 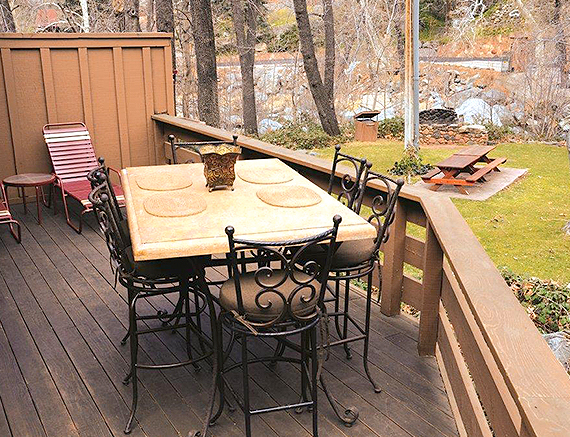 Incorporating natural elements of wood and stone, individually owned creekhomes, are all unique, yet each unit reflects the surrounding oak creek canyon style. 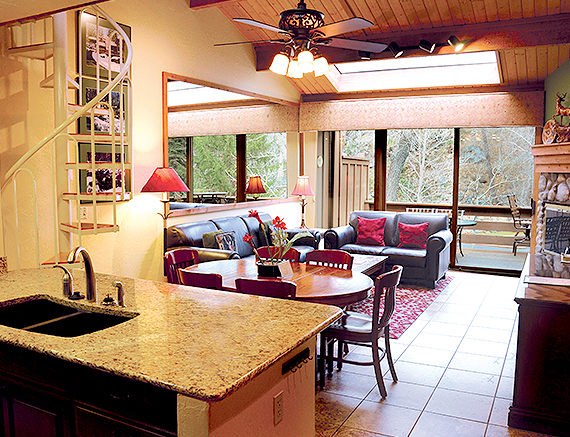 With wood burning fireplaces, fully equipped kitchens and spectacular views from a private wrap around deck, Junipine Resort is an extraordinary nature retreat unlike any other in Sedona. 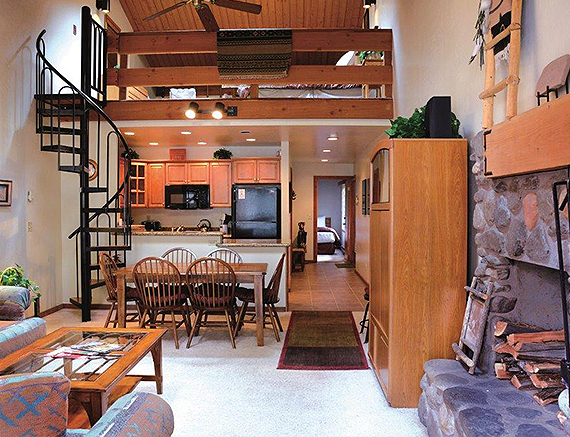 Each of our spacious creekhomes feature two bedrooms, two bathrooms and sleep a maximum of six people. 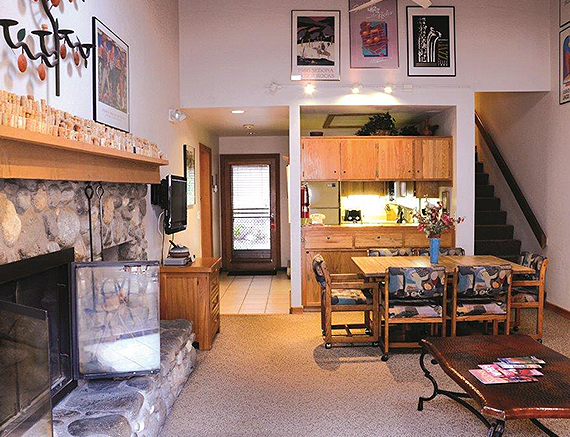 Each spacious creekhome can be rented as either a one or a two bedroom unit. If you are a party of two and only need one bedroom, we simply lock off the second bedroom and bathroom, providing a private and secluded retreat. 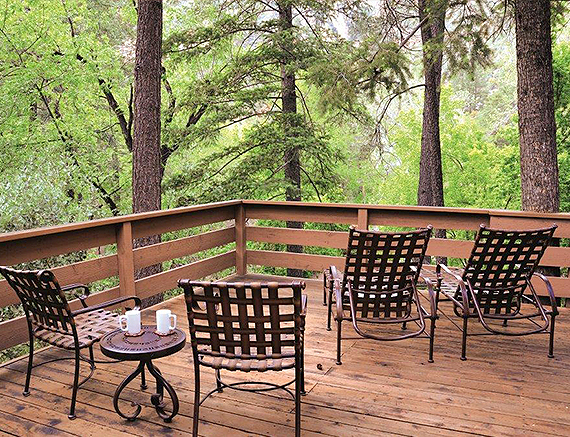 A tranquil hideaway for families and friends, our Creek View villas offer upscale comfort in an idyllic Oak Creek Canyon setting. 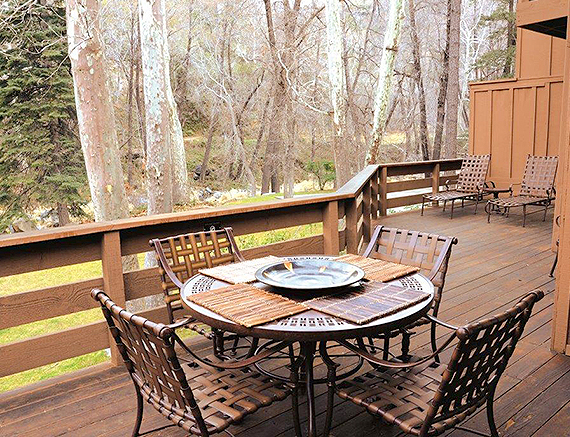 Experience scenic views overlooking the creek and Sedona’s majestic Red Rocks all from the comfort of your private wrap around deck. 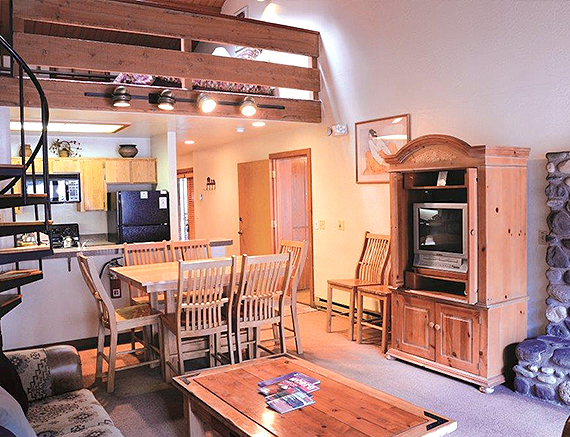 Fully equipped with everything you need for the perfect escape into nature. 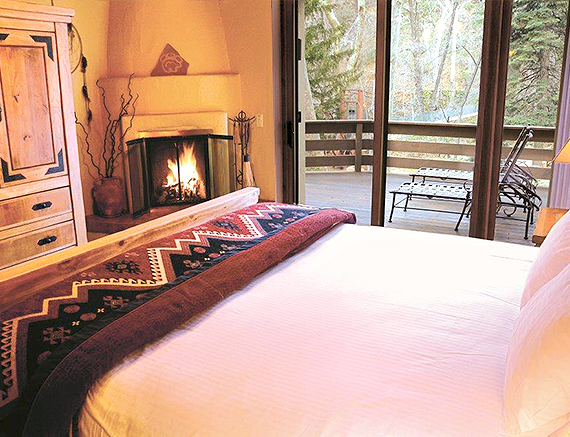 Ideal for friends and couples traveling together, this warm and comfortable creek home combines private spacious bedrooms - each with its own bathroom, upscale amenities and a breathtaking lush forest setting. 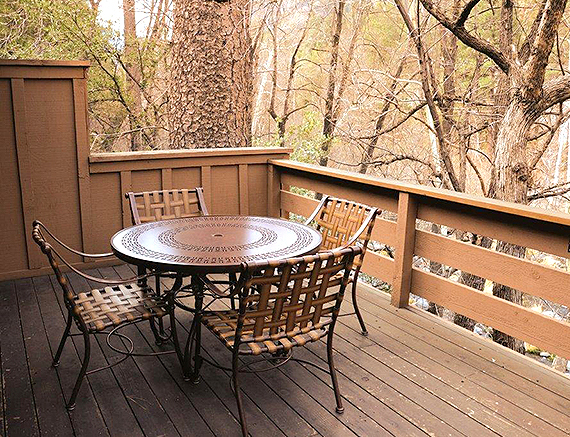 A hot tub on your own private redwood deck offers an indulgent way to take in the mesmerizing views of the Red Rocks and the Oak Creek just steps away. 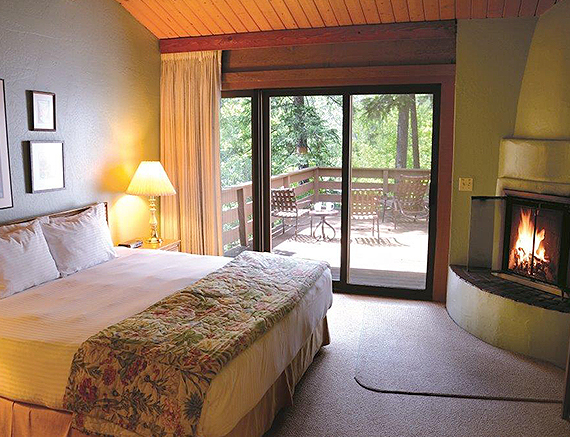 Offering picturesque views of the surrounding woods, our Forest View villas come with two bedrooms, two bathrooms and sleep a maximum of six people. 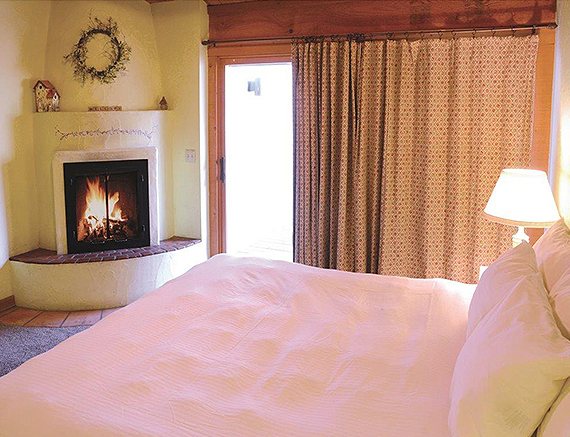 The master bedroom is comfortably furnished with a king bed, en suite bathroom, a fireplace and a private balcony. 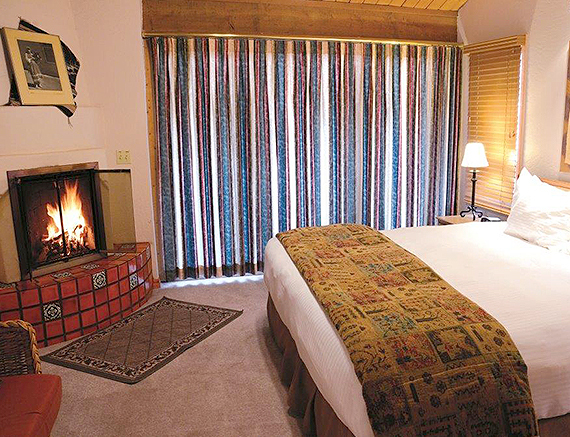 The second bedroom comes with two queen beds and its own bathroom. 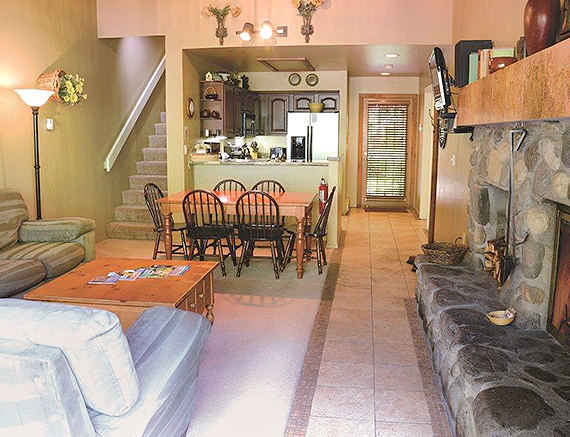 A spacious open plan living area features a wood burning fireplace and opens onto a private wrap around deck. Unwind in this beautifully appointed upscale creek home, enjoy Junipine’s signature amenities from two spacious bedrooms, two bathrooms, wood burning fireplaces and a fully equipped kitchen. 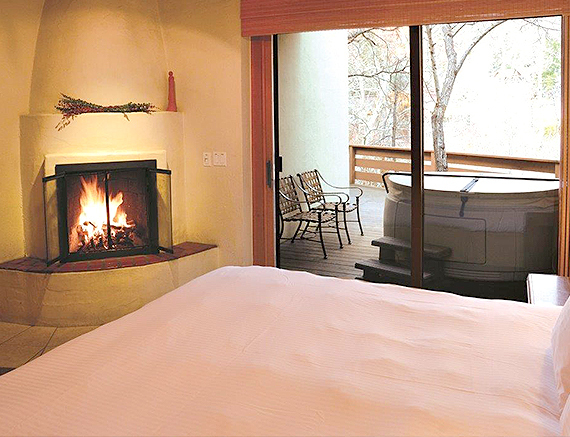 Enjoy an indulgent soak in your private hot tub set on an expansive redwood deck outside. 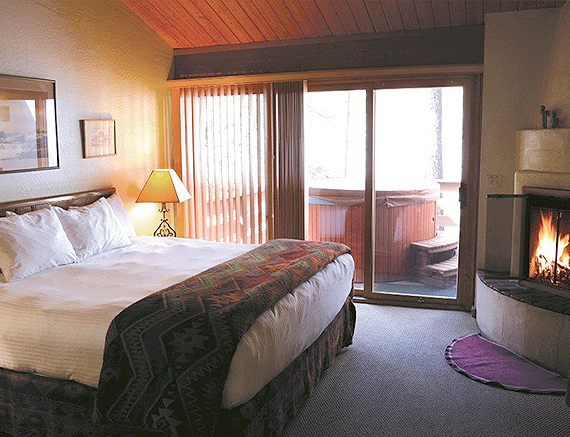 At Junipine, we strive to accommodate every guest. 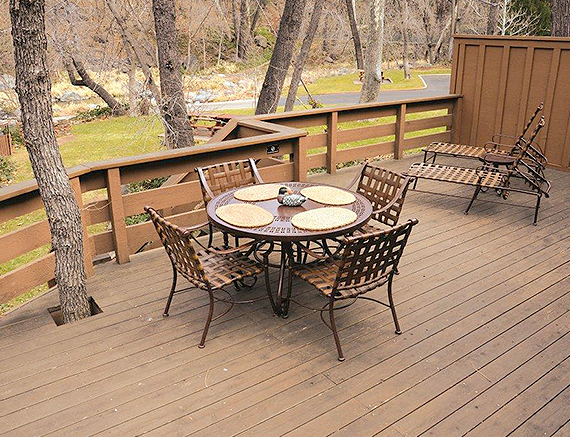 If you have any questions, please don’t hesitate to contact us at 928-282-3375. 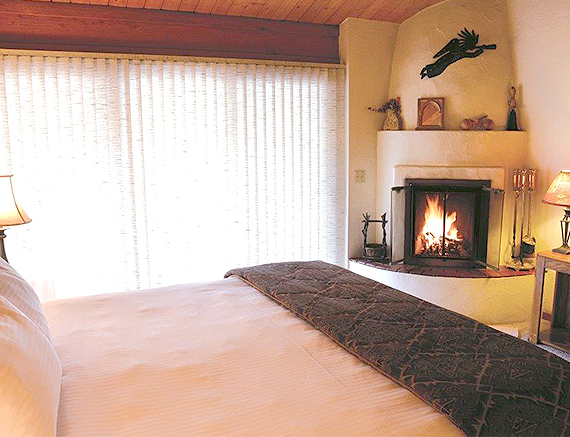 We look forward to your visit to Sedona soon. Two Forest View Creekhouses. 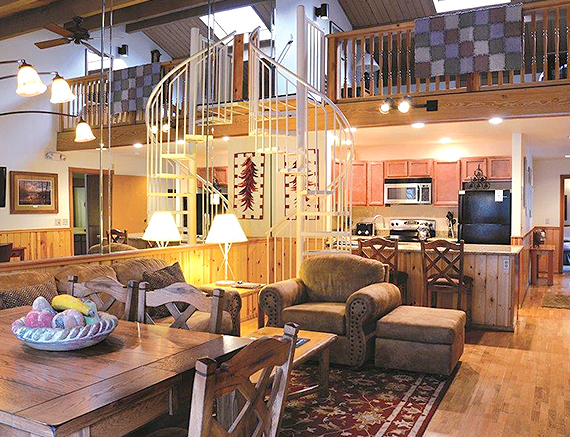 Each house has a master bedroom with a King bed and a roll-in shower.